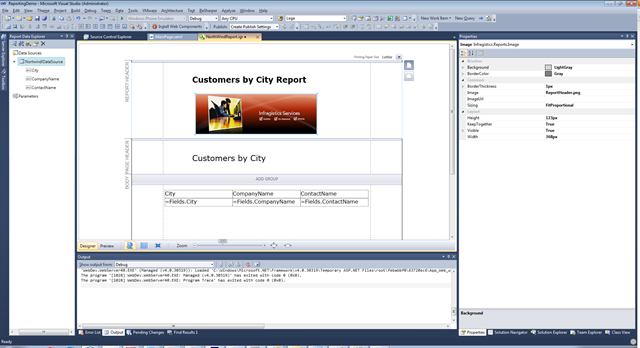 NetAdvantage Reporting is a tool that allows developers to create modern, innovative, visually appealing reports by providing an easy-to-use design experience in Visual Studio. 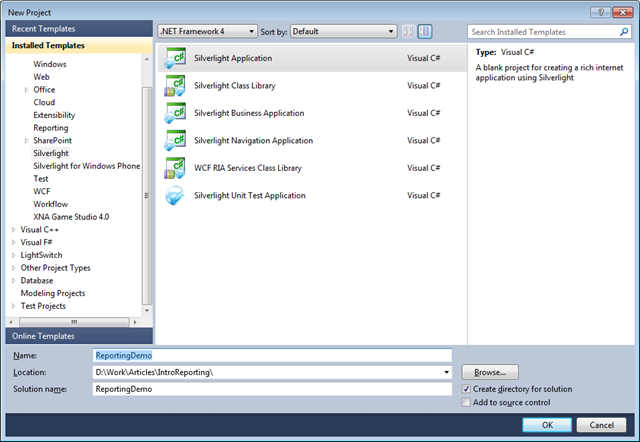 It is possible to create easily reports for Silverlight and WPF without any code. Coding is only optional if you want to change something programmatically. Rich data connectivity to supporting SQL Database, Entity Framework, RIA Services, OData and any other data source through our ObjectDataSource. Exporting to industry-standard formats like PDF MS Excel and XPS. The Report Designer is the work environment of NetAdvantage Reporting, the place where you design and layout your reports. Alignment Configuration Toolbar – This toolbar is used for resizing and aligning the items placed on the Design Surface. 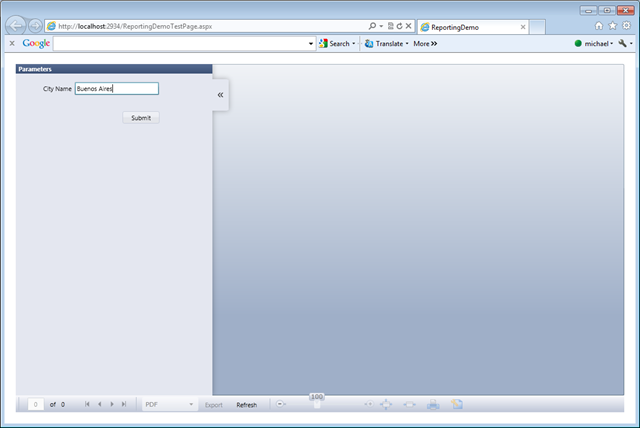 For details, refer to The Alignment Configuration Toolbar. Designer Surface – The largest area of the Report Designer, divided into several sections. It is the actual work area in which you design your report. For details, refer to Knowing the Designer Surface and Report Sections. 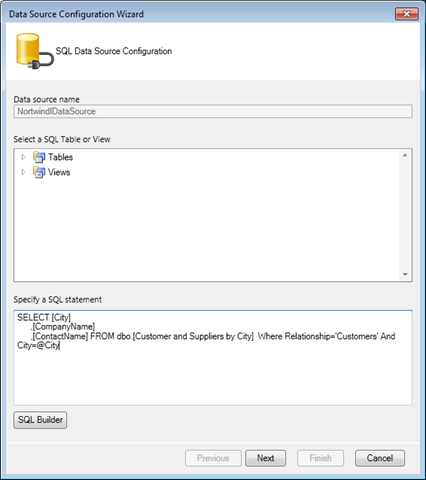 Report Data Explorer Window – This component is used to create, modify, and display data sources and parameters. For details, refer to The Report Data Explorer. 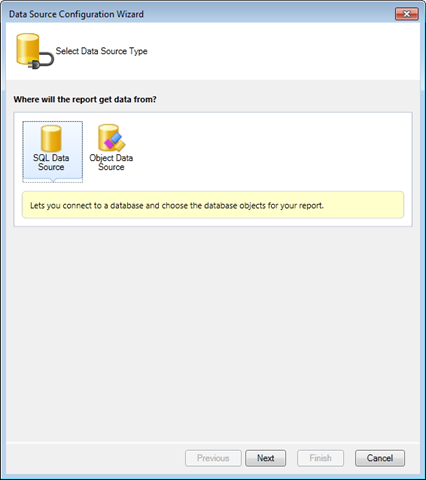 The Report Data Explorer is part of the NetAdvantage Reporting work environment. 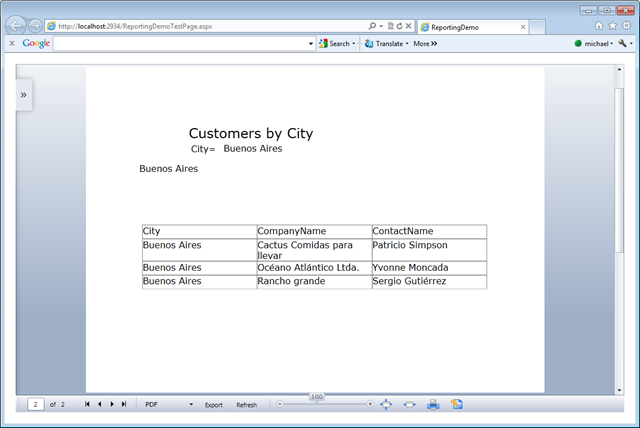 This Report Designer component displays, in a treeview-like form, the available data sources (with their corresponding data fields) and the parameters’ definitions. 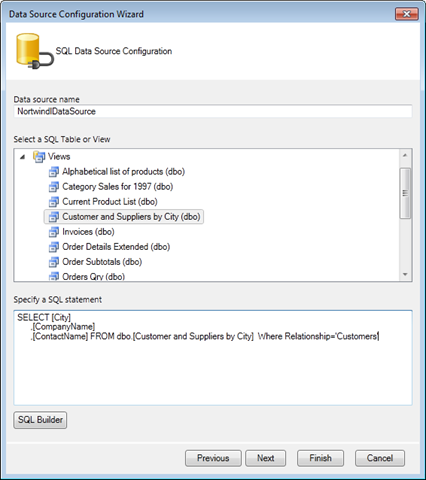 You are allowed to create, modify, and display data sources and parameters. 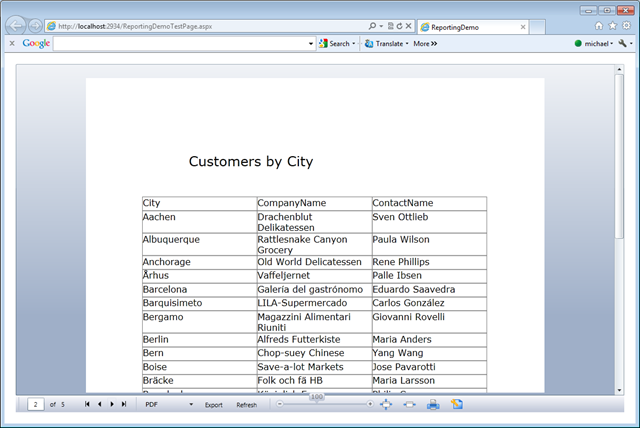 The menu at the top of the Report Data Explorer facilitates all required operations with data sources and parameters. The Report Service is a Windows Communication Foundation (WCF) service that allows the remote execution of NetAdvantage Reporting reports. 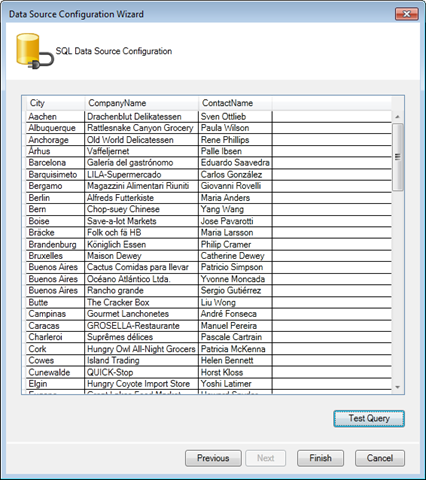 It is typically used in scenarios in which reports are rendered in Silverlight or WPF clients, and connecting directly to the database is not an option. Reports are always processed on the server and the only information that the client receives is the final result. A control represents a specific report component that has particular features and functionalities for displaying content, and can be inserted in any report at design-time. NetAdvantage Reporting comes with Table, Chart, Label, Image and Horizontal Line controls. 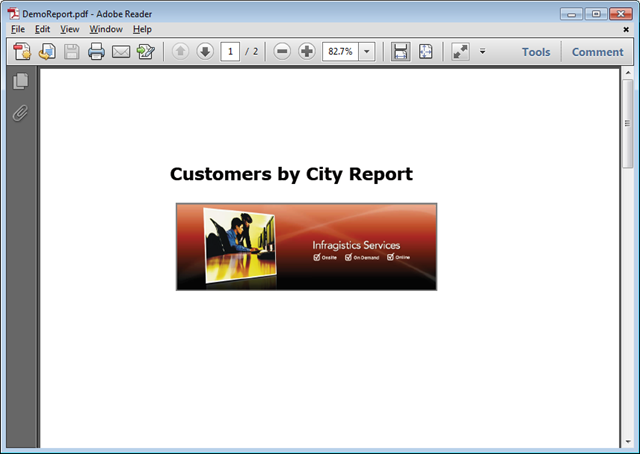 The Expression Assistant dialog is the tool you use to build the expressions needed for your report. This dialog has several distinct areas; the purpose of each of them is explained briefly below. 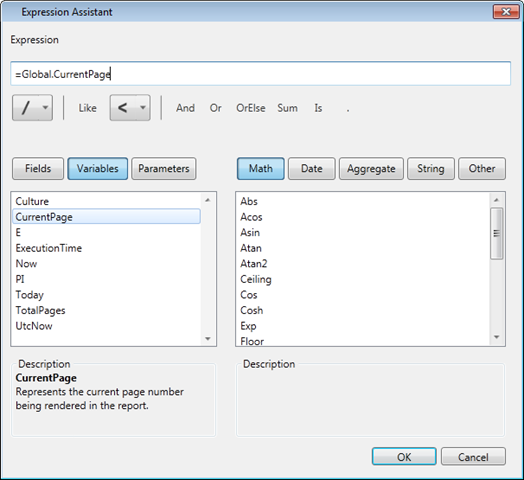 In the NetAdvantage Reporting tool, expressions are created in the Expression Assistant dialog. The Expression Assistant allows you to create custom expressions easily, providing a set of predefined and categorized elements to be used when building the expression. 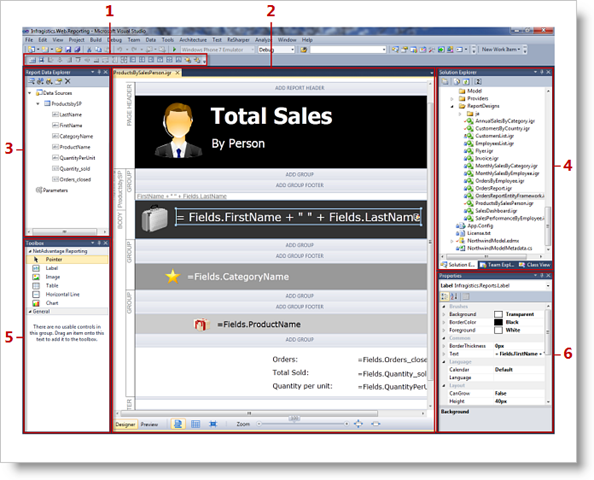 Expression area – The expression you are building is displayed in the text field of this area. Operators area – In this area you can select operators to add to the expression. 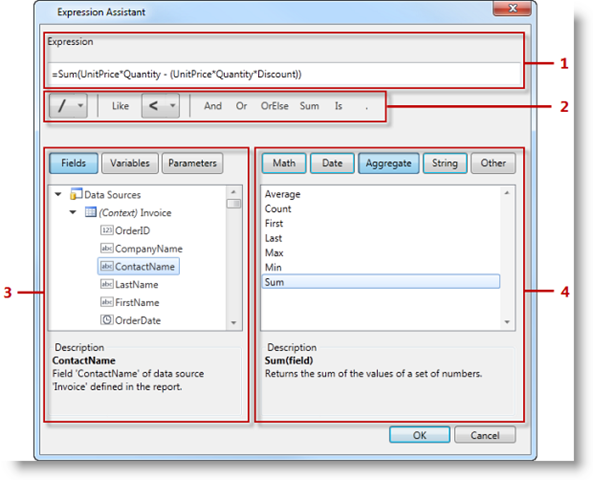 Fields, Variables and Parameters area – Select database fields, global variables, and parameters to add your expression. Functions area – All functions that you can add to the expression are available here. Server-Side Rendering. 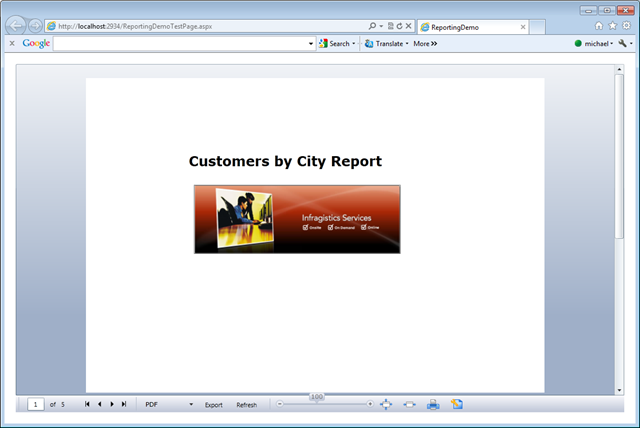 In this case, the Viewer retrieves a report from a Reporting Service (ReportService.svc). This schema separates the report’s user interface handled by the Viewer (the client side) from the actual report and rendering engine that run on the server. Server-side rendering requires a running Report Service. The code handling this looks as shown below. Client-Side Rendering NetAdvantage Reporting supports also client-side rendering in Silverlight, which works without involving the Report Service. This second scenario requires that the data needed for the report is already located in the client (i.e., in XML files, through RIA Services, or any other web service call). 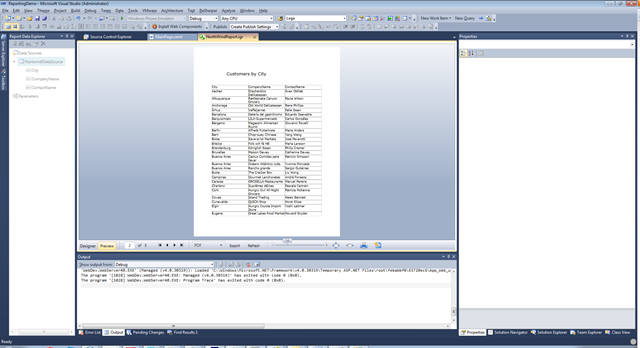 With client-side rendering the report is fully rendered by the client without any server participation. The implementation of client-side rendering settings uses the ClientRenderSetting tag as shown below. 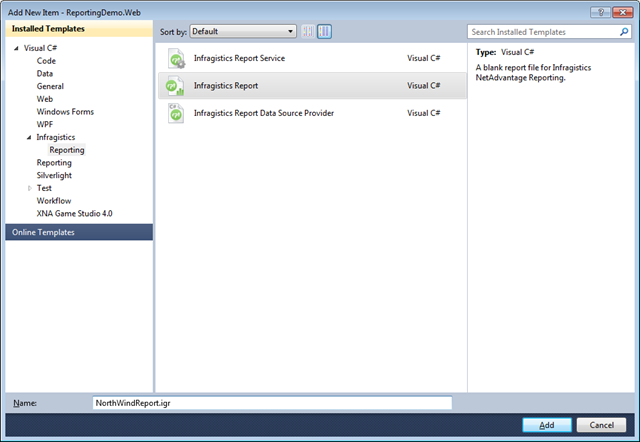 How to start with Infragistics Reporting. In this article you could learn how to start with NetAdvantage Reporting. 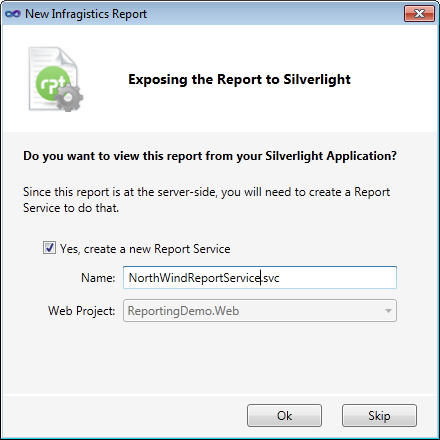 Sample application is Silverlight application , that create fully functional reports from Northwind sample database without code! Report will propose you to create a Report service (server-side rendering is a default). Report will add assembly references in your Web project. 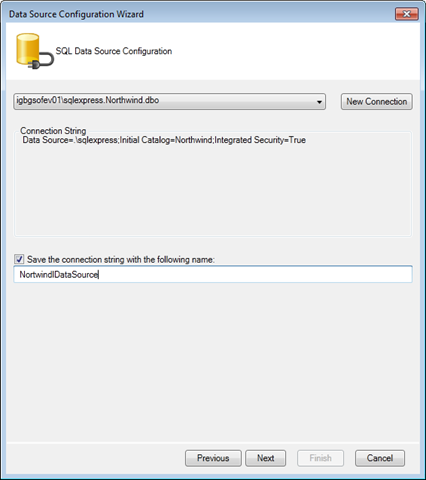 Data Source Configuration Wizard appears. 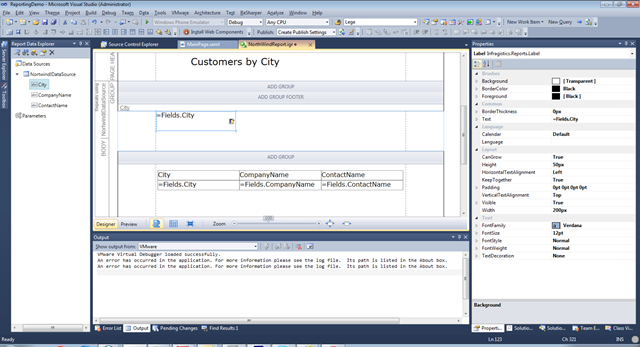 Drag NorthwindDataSource from Report Data Explorer to Designer Surface. 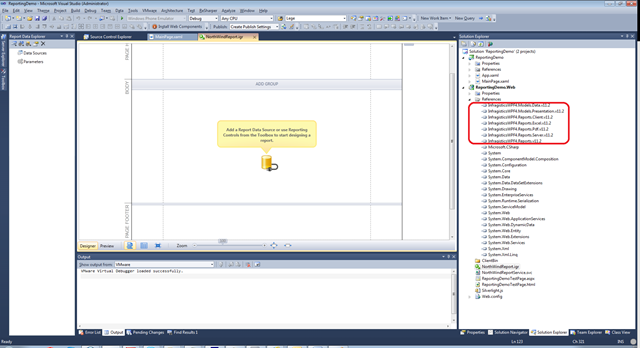 Open NetAdvantage Reporting Controls from Toolbox and add report title and image for the report fron page. Click on the “Preview” tab to preview the report in design mode. 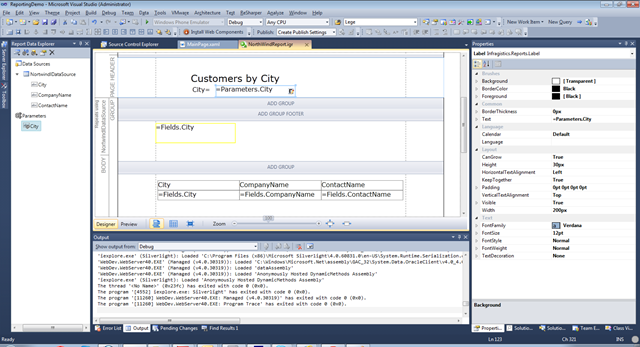 Add a XamReportViewer control in the MainPage.xaml from the Silverlight client application. 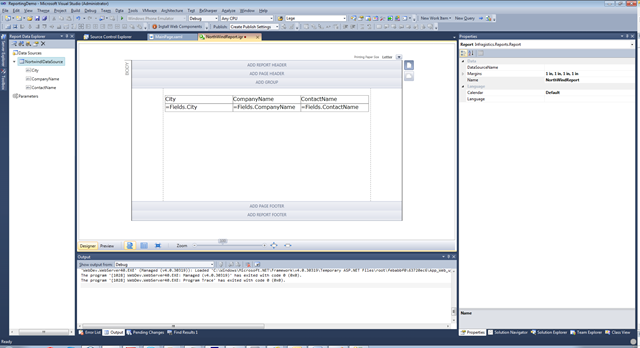 Click over the XamReportViewer control in Visual Studio 2010 designer to choose the Report Serice (Server-Side Rendering is a default render approach). ServerRenderSetting section will be added automatically in your XAML. 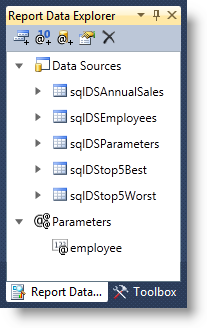 It is enough just to drag the filed that will group the data from Report Data Explorer to group area on Designer Surface. 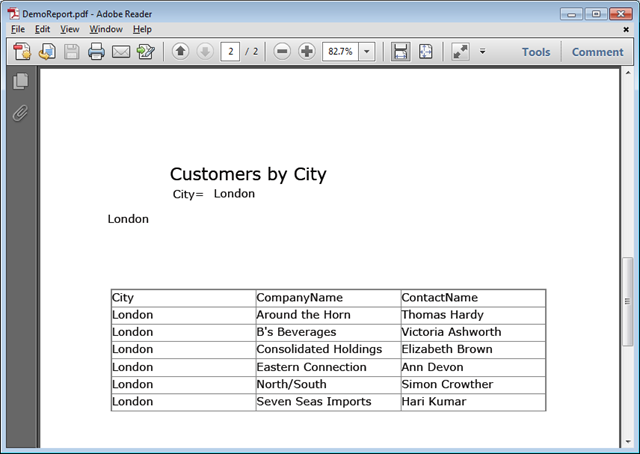 Use an Expression Assistant to add page numbers in your report. Run the report to review grouping and page numbers. 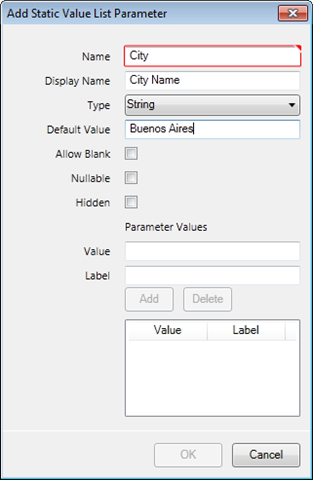 In the “Add Static Value List Parameter” form set required parameter settings (name, type, default value). 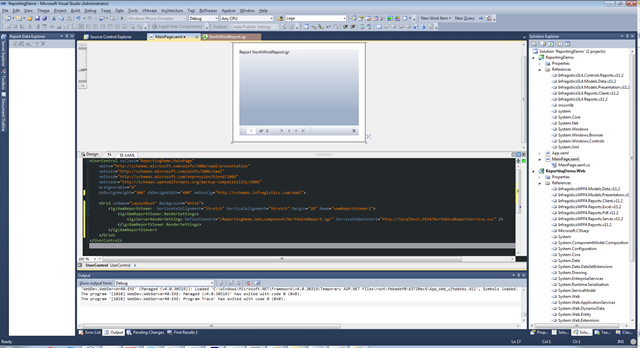 Drag parameter to page header area on the Designer Surface. Add additional label to represent the current filter in the report. 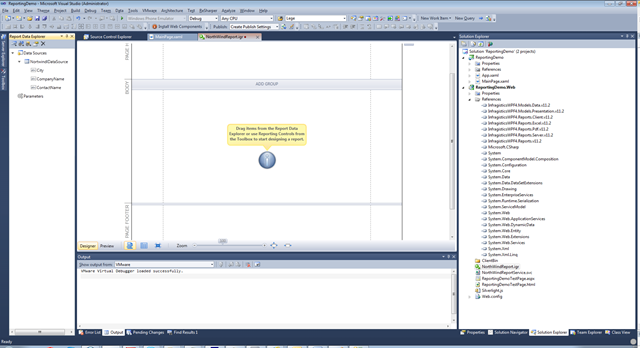 Run the application and add the required parameter. Enjoy the completed report. Select “Export” option from the application toolbar, choose “PDF” format and select a file name to save the report. The outstanding new NetAdvantage Reporting Vol.11.2 offers also many other features like client side rendering, printing, multi level report support, sorting, enhanced formatting etc. Expect next blogs from Infragistics about these features. Follow news from Infragistics in http://infragistics.com/ and twitter: @infragistics for more information about new Infragistics products. Is Infragistics support for the normal windows application, not to the WPF. 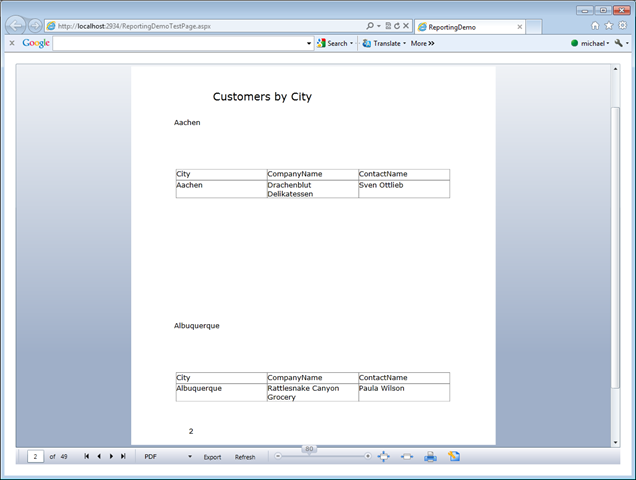 is it possible to implement the reports by using Winforms. ?